Whether they are newbies or social justice pros, teens could always use a bit of inspiration when it comes to activism, particularly in times of overwhelming political and cultural strife. This roundup opens with a collection of general introductions to various social justice causes, from education inequality to Black Lives Matter. The widespread availability of fake news and misinformation makes it vitally important that students have access to well-researched and balanced works, especially when it comes to social movements. These books are then followed by a mix of memoirs and biographies that focus on the impact teen activists have had on U.S. and world history. Lastly, two titles that provide ideas on how to turn thought into action conclude the list. 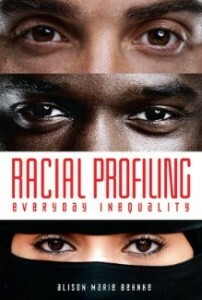 Alison Marie Behnke's Racial Profiling: Everyday Inequality (Twenty-First Century, Jan. 2017; Gr 9 Up) is a comprehensive overview of the history of racial profiling in the United States, from its use in law enforcement to banks, schooling and other government entities. Chock-full of photos, graphs, and maps, as well as "Case Study" sidebars that point to real-life happenings, it will give students a clear-eyed perspective on the far-reaching effects of this controversial practice. 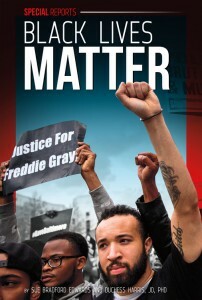 Sue Bradford Edwards and Duchess Harris's Black Lives Matter (ABDO, Nov. 2015; Gr 9 Up) covers the Black Lives Matter (BLM) movement as a response to the overwhelming number of black men and women targeted and fatally shot by police officers or private citizens. Recent high-profile cases like that of Michael Brown are placed into the larger context of the African American experience in the United States throughout history, making this a great introduction for budding activists. 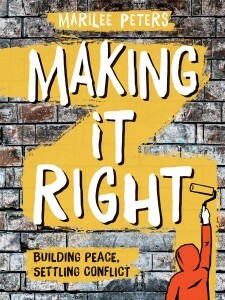 Marilee Peters's Making It Right: Building Peace, Settling Conflict (Annick, Sept. 2016; Gr 7 Up) uses real-life and fictionalized situations involving teens to illustrate cultural response to crime and criminality throughout history. Acknowledging the institutional biases built into many criminal justice systems (e.g., the disproportionate rates of incarceration among people of color and their white counterparts), Peters explores how alternative forms of justice, specifically restorative justice, could provide a better outcome, especially for young people. With an emphasis on student participation in conflict resolution, this is a handy, teen-friendly treatise on the effectiveness of alternative justice. 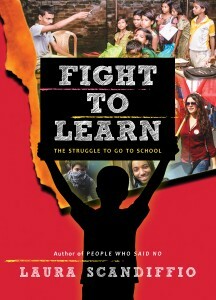 SLJ's review of Laura Scandiffio's Fight To Learn (Annick, Sept. 2016; Gr 6 Up) called it a "fascinating and frightening examination of international education issues." By focusing specifically on what educational issues young people are experiencing and in turn doing about it, this title provides students with ideas on how to address education inequality regardless of where they live. 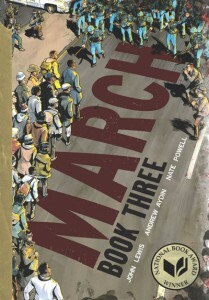 Congressman John Lewis and Andrew Aydin's "March" trilogy (Top Shelf, Aug. 2016; Gr 8 Up) is a must-have for all collections, especially those with an interest in teen activism. At just 23 years old, Lewis was dubbed one of the Big Six leaders of the civil rights movement. This epic three-volume chronicle of the civil rights era is a vivid and nuanced examination of not only many key events and people but also the intricacies of a major movement. The graphic novel format only heightens the storytelling, making for a truly unforgettable read. 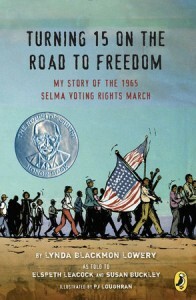 Lynda Blackmon Lowery's Turning 15 on the Road to Freedom: My Story of the 1965 Selma Voting Rights March (Dial, Jan. 2015; Gr 6 Up), honored for the 2016 Sibert Award, details her experience participating in the 1965 voting rights march in Alabama. Teens of a similar age will be emboldened by Lowery's determination (she was jailed nine times before turning 15) to combat racial injustice. P.J. Loughran's graphic novel–like illustrations accompany the text; readers will fly through this powerful memoir. No teen activism roundup would be complete without mentioning Malala Yousafzai and Patricia McCormick's young readers edition of I Am Malala: How One Girl Stood Up for Education and Changed the World (Little, Brown, 2014; Gr 6 Up). Yousafzai's tireless advocacy for girls' education and human rights is a bright spot for young people everywhere. Dawson Barrett's Teenage Rebels: Successful High School Activists, from the Little Rock 9 to the Class of Tomorrow (Microcosm, Jul. 2015; Gr 6 Up) is a collection of 72 stories from U.S. history that emphasize the impact teens have had on social movements, including a 2014 counterdemonstration organized by students at Wilson High School in Washington, DC, in response to a hate group. This is a browsable selection for those just looking to dip into stories of teen activism. 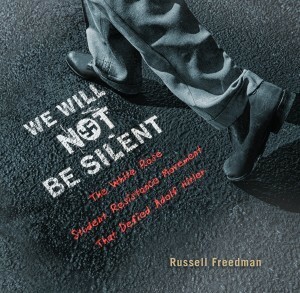 Russell Freedman's highly readable We Will Not Be Silent: The White Rose Student Resistance Movement That Defied Adolf Hitler (Clarion, May 2016; Gr 6-8) follows teen siblings and rebels Hans and Sophie Scholl and their involvement in an anti-Hitler pamphleteer group in Nazi Germany. SLJ's review noted that "Freedman's focus on the youth of the participants will resonate with readers." Though Hans and Sophie were eventually executed, their defiant resistance to evil is nonetheless inspiring. 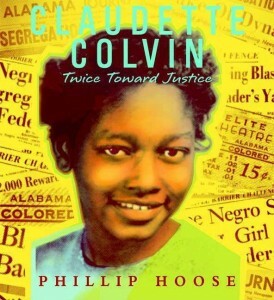 Phillip Hoose's Claudette Colvin: Twice Toward Justice (Farrar, Jan. 2009; Gr 6 Up) combines Colvin's own reminiscences with historical records to provide a portrait of the then-15-year-old Colvin, who refused to give up her seat to a white passenger in Montgomery, AL, in 1955. Colvin's bold personality will resonate with teen readers, while period newspaper articles, photos, and documents will add to their understanding of the events leading up to the Montgomery bus boycott. The Get Lit Players, a slam poetry troupe who went viral with their performance of "Change the World, One Word at a Time," use poetry to raise awareness of social justice issues. 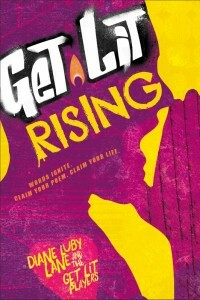 In Get Lit Rising: Words Ignite. Claim Your Poem. Claim Your Life. (Atria/Beyond Words, Oct. 2016; Gr 9 Up) the players pen personal essays along with a sampling of their work and what inspires them. A final chapter outlines how teens can get in on poetry activism in their own communities. 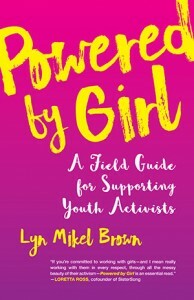 Lyn Mikel Brown's Powered by Girl: A Field Guide for Supporting Youth Activists (Beacon, Sept. 2016) is an important exploration of how young people, specifically girls, get into activism and how adults can support them. Through critical analysis of current events and interviews with girl activists, Brown aims to invite readers to "reflect, to examine our privilege, to question our assumptions, to respect what girls can tell us about their lives so that we can better work in coalition with them to address the injustices and hurt they experience." Though this title is intended for adult readers, much of the text could easily be adapted for high school mentors seeking to inspire social activism in their mentees.